We beg this of Your Holiness for the spiritual and temporal welfare of 6 BILLION human beings now living on earth because it is clear from the Message of Fatima, authenticated by the great Miracle of the Sun before 70,000 witnesses, that it is only "by this means" that "many souls will be saved" who would otherwise be lost. 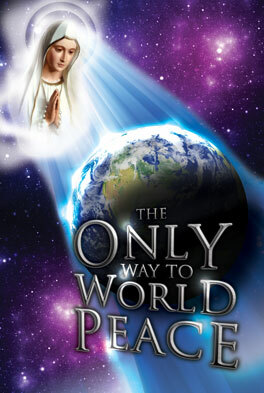 It is only "by this means" that peace will be granted to mankind. Please act soon, HolyFather, otherwise "various nations will be annihilated." Click here to fill in and send the petition form.